In the dark days of the end of World War 2 amidst the ruins of Berlin, one bullet can change history… Elite sniper Karl Fairburne returns to the front line in the remaster of this award-winning stealth-action experience. Packed with new features, contemporary visuals and definitive content. Remastered from the 2012 favourite, Sniper Elite V2 will see you parachuted into World War 2 Berlin amidst the Germans' final stand. You must prevent Nazi V2 rocket technology from falling into the wrong hands. Every shot counts. Use it wisely. 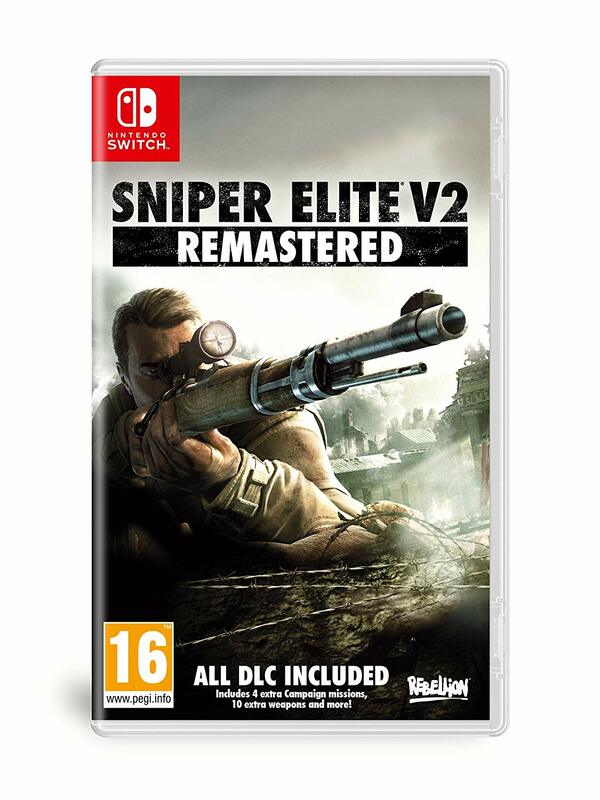 As previously announced, Sniper Elite V2 Remastered is getting a retail release in both North America and Europe. We don't have the North American cover art just yet, but it'll probably be close to what you see above.